This is a class designed to walk you through the painting process from beginning to end. Sometimes the most difficult part of making art is starting. 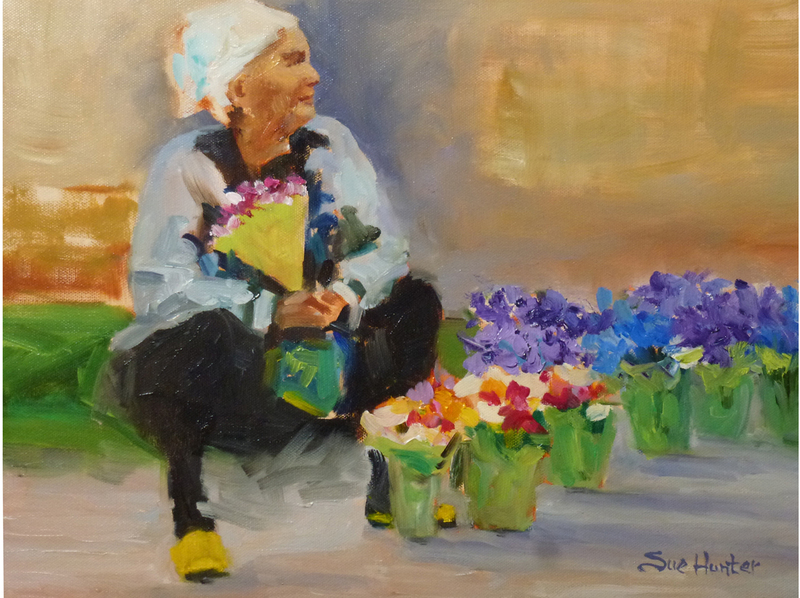 Sue will guide you through the process of setting up your paints and organizing your colors. Learn how to simplify and mix colors. Emphasis on values will be discussed throughout the sessions. Learn to view your surroundings, to edit in your mind's eye, and to create interesting and engaging compositions. Each week, Sue Hunter will demonstrate the lesson and then provide individual and group instruction. Students are invited to work in either oil or acrylic. Materials list for both will be provided.